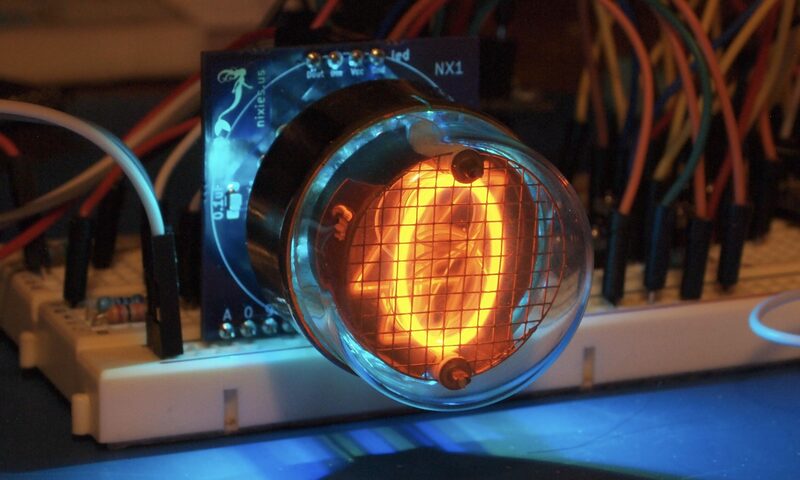 The CD66A is a medium sized nixie tube made by the Japanese company NEC. It is a numeric tube with a left-hand decimal point. The anode grid is a set of horizontal wires which make the tube particularly pleasing to look it. In addition, the internal construction of this tube transmits and reflects light from an LED placed underneath the tube, particularly well. 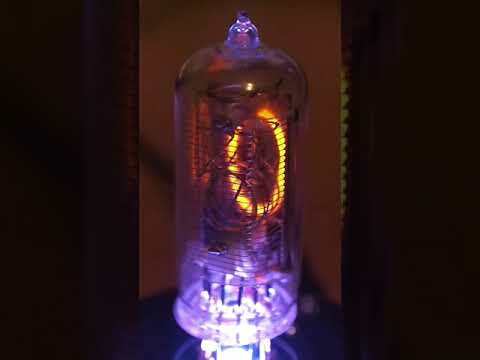 There is another version of this tube – the CD66(DL) which has a right-hand decimal point. And both Rodan and Matsushita made their own versions.